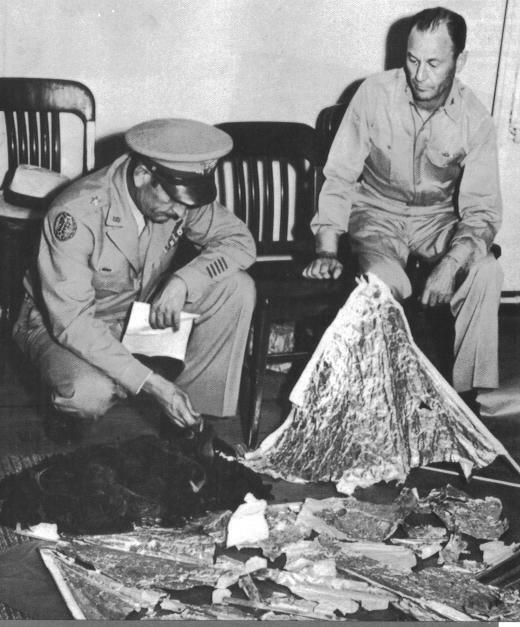 1947: Days after something shiny crashed in the New Mexico desert, the Roswell Army Air Field issues a press release that says the military has recovered the remains of a “flying disc.” Although quickly discounted as erroneous, the announcement lays the groundwork for one of the most enduring UFO stories of all time. The military’s initial press release was straightforward in its handling of the discovery of wreckage by rancher W.W. “Mac” Brazel. “The many rumors regarding the flying disc became a reality yesterday when the intelligence office of the 509th Bomb Group of the Eighth Air Force, Roswell Army Air Field, was fortunate enough to gain possession of a disc through the cooperation of one of the local ranchers and the sheriff’s office of Chaves County,” the press release read. 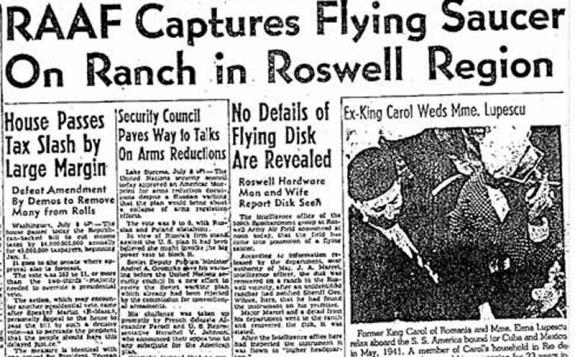 The Roswell Daily Record headlined the story “RAAF Captures Flying Saucer on Ranch in Roswell Region,” providing a historical artifact that, in retrospect, seems ready-made for fueling an episode of The X-Files. But press accounts the following day told a much more mundane story: The military had determined the recovered debris to be the wreckage of a weather balloon and related equipment. No flying saucer — a term that had just been coined by newspapers to describe the first widely publicized UFO sighting — had been found. 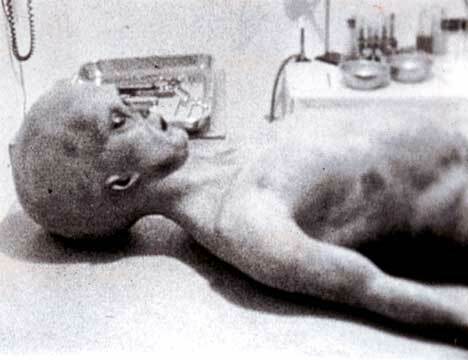 While the down-to-earth explanation seemed to settle the issue, the so-called Roswell incident flashed back into the public consciousness three decades later. New interviews with individuals proffering information about the crash, and the 1980 publication of Charles Berlitz’s book The Roswell Incident, breathed new life into the story, turning Roswell into a rallying cry for ufologists and true believers. Rumors of recovered extraterrestrial bodies and a government coverup gained such a foothold in popular culture that the U.S. government took the unusual step of producing two reports in the 1990s that set out to put the matter to rest. The second government publication, 1997’s The Roswell Report: Case Closed (.pdf), came just days shy of the Roswell incident’s 50th anniversary. The report said eyewitness accounts tied to the 1947 recovery actually occurred years later, becoming tangled up in time and further strengthening the Roswell incident’s hold on the public’s imagination. 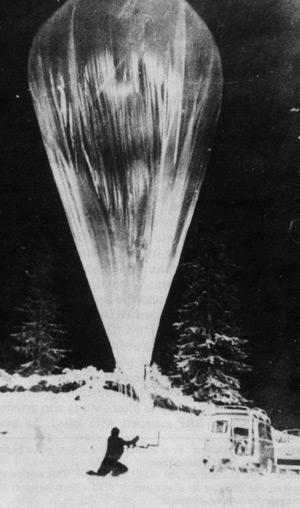 Despite the military’s assertion that the Roswell incident was a side effect of Cold War secrecy and sci-fi fantasies, the story retains a vital spot in UFO lore. The town of Roswell has turned into a tourist destination, hosting the International UFO Museum and Research Center and an annual Roswell UFO Festival. This entry was posted in Pop Culture, UFO and tagged 1947, Flying Saucer, Roswell, Roswell incident, UFO. Bookmark the permalink.